The United Nations has declared 2016 The International Year of Pulses. So, what exactly does that mean? What is a pulse? Pulses are edible seeds that grow within a pod. Well-known examples of pulses include beans, peas, lentils and chickpeas. The UN has chosen to spotlight these crops because of the great benefits they provide for human health and the environment. 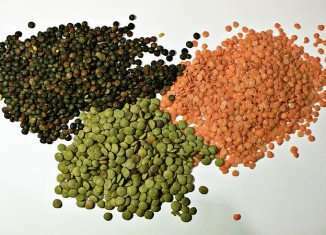 Another added benefit is that pulses are very inexpensive which is notable in this time of rising food prices. Pulses are staple foods in many countries around the world. However, here at home, these foods do not reach our plates as often as recommended despite the fact that Canada is one of the world’s largest producers and exporters of beans, peas, lentils and chickpeas. The nutritional benefits of pulses are impossible to ignore. They are great sources of protein, and slow release carbohydrates as well as both insoluble and soluble fibre and a host of vitamins and minerals. Some recent research also shows that pulses are full of antioxidants that help to reduce the risk of some chronic diseases such as heart disease, Type 2 Diabetes and some cancers. In terms of protein content, pulses such as beans, lentils, peas and chickpeas are strong competitors for their meat and fish counterparts. Just one cup of lentils provides 18 grams of protein which is equivalent to that found in 2.5 to 3 ounces of meat. Pulses also contain a similar mineral profile as animal proteins because they are high in both iron and zinc. The fibre content found in these foods is responsible for the positive effects they have on blood sugar control and cholesterol levels. Soluble fibre in particular is known to promote better control of blood sugar helping to both prevent and manage diabetes. This type of fibre also contributes to the lowering of cholesterol levels which is key in lowering the risk of heart disease. Another great benefit of the high fibre content in these foods is promoting bowel regularity, fullness and appetite control. In addition to being nutritional powerhouses, pulses have the added bonus of being extremely light on the wallet. Popular protein sources such as meat and fish tend to be more expensive, so including protein-rich substitutes like beans, peas, lentils and chickpeas can reduce your food budget without diminishing your diet. Some cuts of meat can be as expensive as $7.99 per pound. Dried or canned beans, peas, lentils and chickpeas however are often much less expensive, averaging only $1 – $1.50 per can to $1.50-$2 for a 1lb bag. A 1lb bag of beans is equivalent to 3-4 cans of beans, meaning one bag can provide a number of meals for you and your family. Another reason why the UN has declared this year, the year of Pulses is due to their environmental benefits. Pulses are nitrogen fixing crops which means they do not require nitrogen fertilizers to grow. Manufacturing nitrogen to be used in fertilizers is energy intensive. Therefore, the fact that pulses do not require nitrogen fertilizers to be cultivated, they are more environmentally friendly and result in lower greenhouse gas emissions. Now that you know what a pulse is, stay tuned for Part 2 of this series to learn how to incorporate these healthy helpers into your family’s diet! Melinda Lamarche has been working as a Registered Dietitian for just over 10 years. After completing her dietetic internship at the University Health Network in 2005 she went on to complete a Masters degree in Public Health Nutrition at the University of Toronto. Melinda has experience working with Toronto Public Health and various Family Health Teams in the Toronto area. Melinda recently completed a Culinary program and is using her new skills to prepare yummy and healthy dishes for her husband, daughter and a baby on the way.